Do you think that children’s crafts are only for girls? Then you haven’t made a catapult! This toy won’t leave any boy indifferent, regardless of the age. 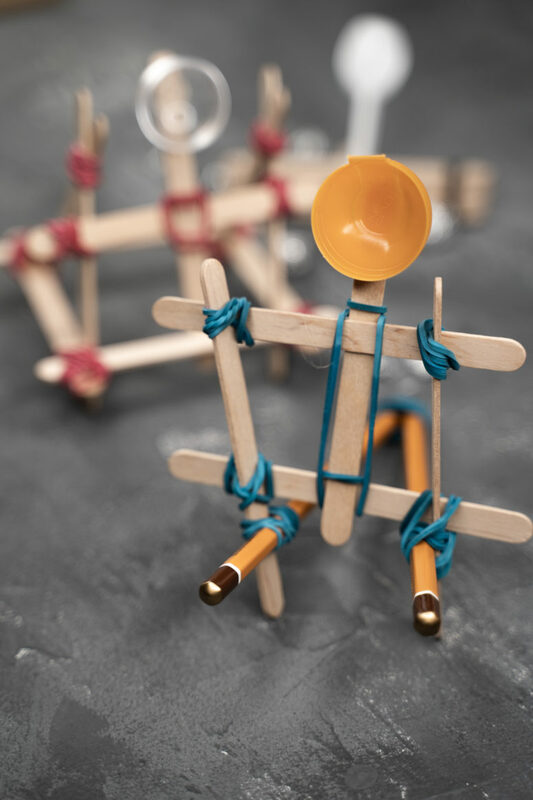 Here are 3 simple ways to make a mini catapult of popsicle sticks, pencils and rubber bands. 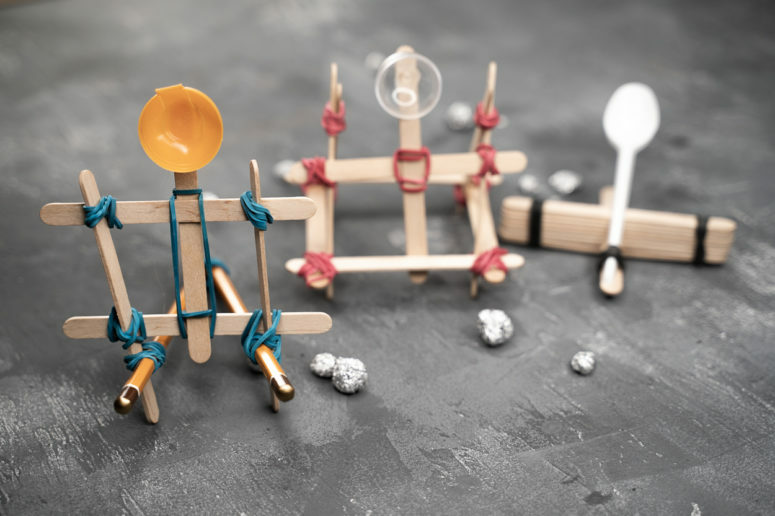 These small but powerful weapons can be used to make a comic battle or to build a fortress from plastic cups and, of course, to destroy it, and missiles can be foil balls or some beads. The supplies are 10 popsicle sticks, a plastic spoon, 3 rubber bands. 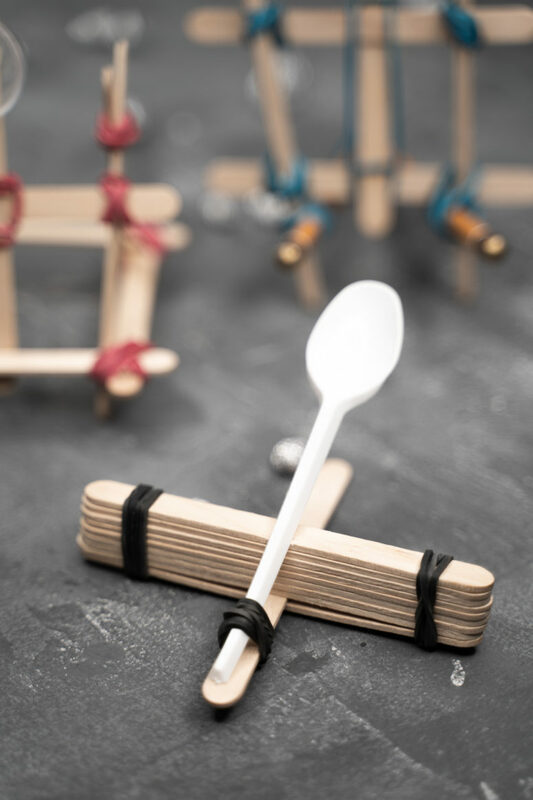 Take 9 popsicle sticks and secure them with a rubber band on one side, then take a popsicle stick, place it between some of these vertically and secure the second end. Now take a plastic spoon and attach it to the vertical stick with a rubber band. You are done! The supplies are 10 popsicle sticks, a plastic lid, 13 rubber bands. 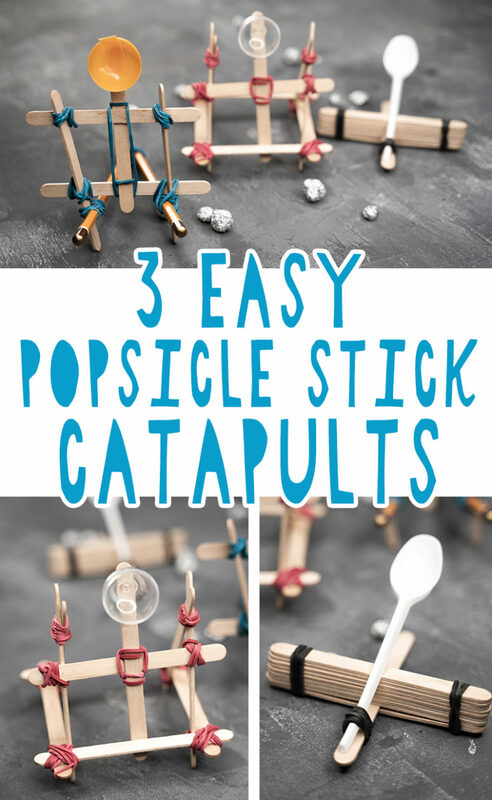 Take a popsicle stick and attach it vertically to another one with a rubber band. Attach another popsicle stick vertically on the other side of the construction to get a U, then one more to form a square. 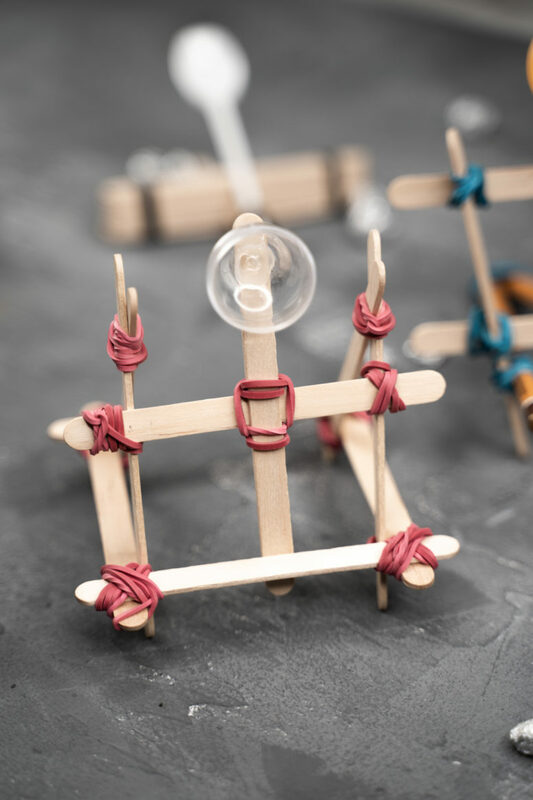 Take two popsicle sticks and make and attach them criss cross using a rubber band. Then make another combo of the same look. Attach one of these to the square you have, then attach the second one – these will be your legs. Secure these legs with a popsicle stick placed on the side and secured with a rubber band. Now attach the last popsicle stick on this one and secure it with a rubber band. Hot glue a plastic lid on top of this stick and voila! The supplies are 5 popsicle sticks, a plastic lid, 8 rubber bands, 2 pencils. Attach a popsicle stick to a pencil using a rubber band – these pieces should be perpendicular. Do the same to the second pencil. Attach one more popsicle stick to the pencil, it should be perpendicular to the first one, too. Attach the two pencil constructions to each other using rubber bands. Attach the sharp ends of the pencils to each other with a rubber band. Place one more popsicle stick on the other end and secure it with rubber bands. Put a popsicle stick vertically and attach it with a rubber band but not too tight. Hot glue a plastic lid on top of the last stick and voila!